by Andy Higgs in Africa, Mali, Places, Retro Travel Photo. In this new occasional section we share some of the travel photos from our archives – when we paid our dues but rarely our way. Times were tough, hitch-hiking was a favoured mode of transport and luxury hotels were places we tried to sneak into to have a swim. As a follow-up to Monday’s photo taken while hitch-hiking through the Sahara it seemed appropriate to publish another one taken later on the same epic journey. As the problems in Algeria escalated the southern desert border was closed and I was forced to return north, eventually getting a plane from Morocco to Mauritania and continuing overland. After several more adventures I made it to Mali and got a ride on a mango boat then on top of a postal service Land Rover for the last stretch to Timbuktu (I’m using the English spelling). It’s a great place to say that you’ve been (you even get a stamp in your passport) but getting there is more exciting than being there. Bob Geldof summed it up with his legendary, “is that it?”. 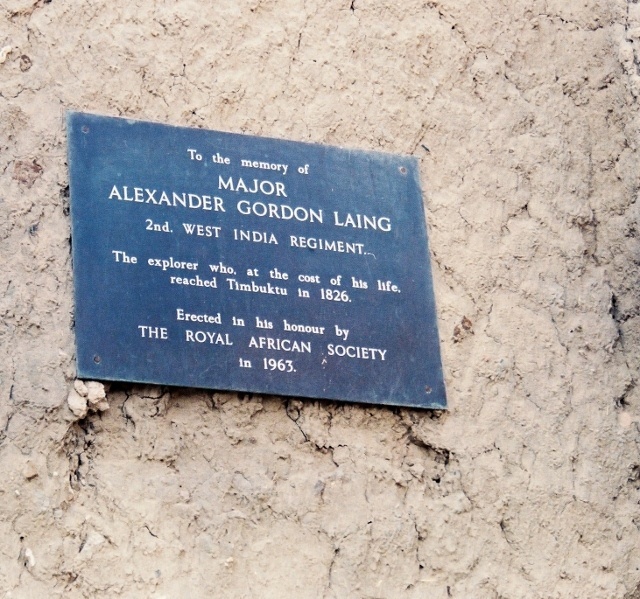 Happily I (clearly) didn’t suffer the same fate as the first European to reach the city when it was in its heyday, the Scot Alexander Gordon Laing. He was killed shortly afterwards in mysterious circumstances. As you now know, these pictures were taken on my first (non-digital, obviously) SLR and the quality is not great, but so it goes.